Adae To Remember: MAROU CHOCOLATE: I Love Dark Chocolates! 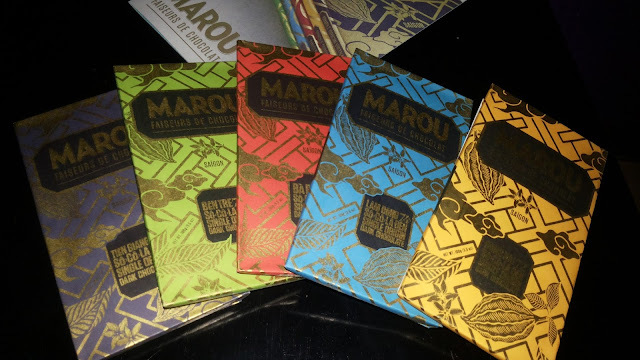 I got my bag of PHDeli MAROU CHOCOLATE last night! That is why I am giving away some to my family and friends who replied on my facebook announcement. It's a great feeling to get something but more pleasurable feeling to give something too. 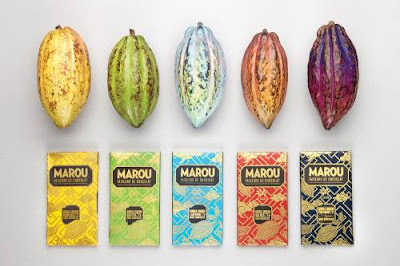 I am a fan of dark chocolates with a bitter sweet taste that is healthy to much. 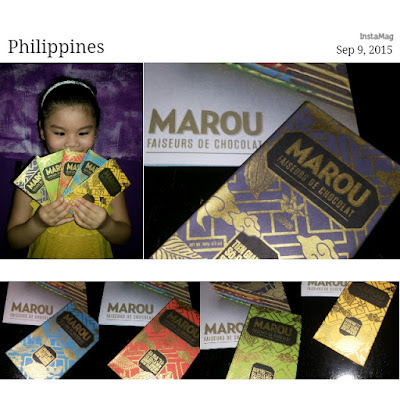 My daughter got so excited to try all the 5 variants of Marou chocolate. 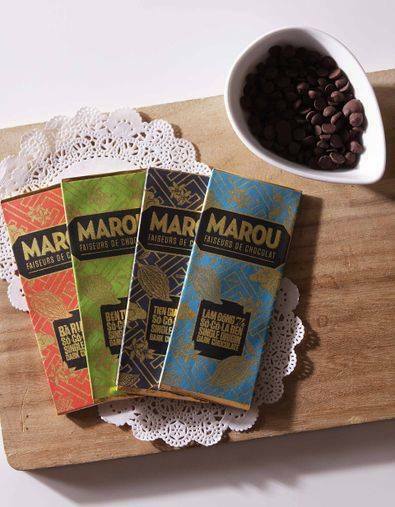 We guarantee you a unique sensory experience with subtle notes of liquorice and spice in this extremely delicate 75% chocolate made with cacao growing in very small quantities on Tan Phu Dong island in the middle of the Mekong river. The company aims to curate gourmet goodies from around the world so you, our dear customers, can enjoy a diverse array of fine food right in your own home. At the same time, the company is committed to supporting grass root industries and local communities in the Philippines by introducing our world-class products to other countries. PhDeli Corp sources and imports the highest quality food and drink products from around the globe, providing world class products and an unbeatable service. With a British/Filipino management based in Makati, are dedicated to bringing you the finest products and the best service. PH DELI CORP is licensed by the FDA to import and distribute a wide range of high quality grocery products. Committed to helping you serve the finest gourmet foods to all of your guests. 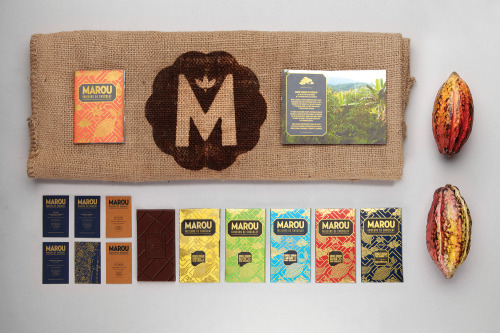 OWN LABEL SOLUTIONS. We provide a variety of a fully supported coffee supply options, with provision of equipment and regular coffee supplies, specially tailored to your requirements. 100g - P300 any variants. 822 Paseo Tesoro Bldg., 3F-1 Arnaiz St, Makti City Philippines.